Valentine A. Trujillo, 64, affectionately known as "Tiny" passed away November 28, 2018. He was born February 14, 1954 to the union of Celestino and Mary (Tafoya) Trujillo. 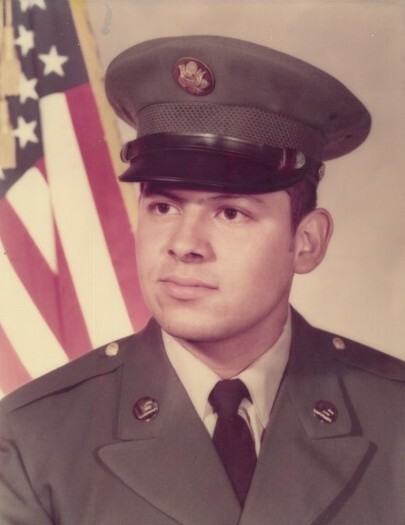 He is preceded in death by his father Celestino; niece, Carla Trujillo; nephews, Eli Trujillo and Brian Mondragon; brother in law, Joseph Sanchez. Tiny served in the United States Army and retired from Evans Hospital. He enjoyed playing pool, fishing, riding his bike and building Southwest Wood Sculptures. He also loved the Broncos, win, lose or draw. 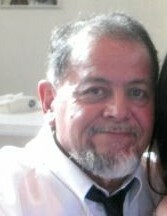 Tiny is survived by his mother, Mary Trujillo; children, Avelina (Nestor Vargas) Trujillo and Pat Trujillo; grandchildren, Cedric, Jaedon, Kieran Vargas; brothers, Celestino, Roger (Adeline), Eligio and Richard (Louise) Trujillo; sisters, Olivia (Rudy), Ruth and Kathy; several nieces, nephews, aunts, uncles, cousins, and friends who loved and will miss Tiny dearly. Funeral Mass 1:00 p.m Thursday Sacred Heart Church, Avondale, Colorado. Father Charlie Sena, Celebrant. Military Honors by Pueblo Veterans Ritual Team.